Custom-made mandibular advancement devices are an effective treatment option for snoring, upper airway resistance syndrome, and obstructive sleep apnea (OSA). Evidence-based data indicates their efficacy, and international sleep societies recommend oral appliance (OA) therapy for patients with sleep-related breathing disorders. The following position paper by the German Society of Dental Sleep Medicine (DGZS) is to guide the interdisciplinary team (sleep physician and sleep disorder dentist) in detail when to prescribe oral appliances. 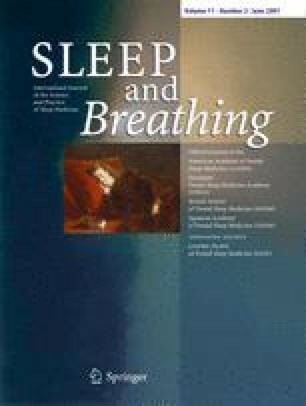 This position paper supports the responsible use of OA as an effective treatment option for patients with sleep-related breathing disorders. The paper advises of proper indication regarding OSA severity, body mass index (BMI), and dentition. It emphasizes the interdisciplinary approach of oral appliance therapy and suggests treatment under the guidance of dentists trained in dental sleep medicine. The use of oral appliances in treating SRBD was first described in 1982 . The first findings, which document the therapeutic effect of MADs, were presented in 1984 . Of the many oral appliances designed for use in the treatment of SRBD, mandibular advancement devices have been the most intensely researched. Progress in the areas of dentistry and appliance technology has lead to fundamental modifications in the design of mandibular advancement devices. The clinical effectiveness of this treatment option has been documented with varying degrees of evidence in numerous studies. The clinical importance of this form of therapy is constantly being reinforced by the gathering of improved data on the validity of this form of treatment. The effectiveness of mandibular advancement devices in the treatment of SRBD has been documented by the Cochrane Collaboration as the highest level of scientific evidence . The clinical analysis has been reviewed and revised twice since Cochrane’s first evaluation in 2002 [6, 7]. The German Society of Dental Sleep Medicine (DGZS) takes this opportunity to issue its position with regard to this form of therapy and to make recommendations. A system of laboratory fabricated custom-made adjustable splints manufactured for the individual patient and adjusted to fit the upper and lower jaws. These splints position the lower jaw, tongue, and additional structures more anteriorly, and increase the occlusal vertical dimension, resulting in an opening of the pharynx lumen, which reduces resistance in the airway and mechanically keeps the airway open during sleep. As early as 1995, the American Academy of Sleep Medicine (AASM) published recommendations on the indication and application of oral appliances in the treatment of SRBD . These were updated and stated more precisely in 2005 . In 2001, the German Society of Pneumology (DGP) in co-operation with the German Sleep Society (DGSM) published the “S2” guidelines on the diagnosis and treatment of SRBD. These guidelines envisaged the use of mandibular advancement devices as a treatment option . A new description of the significance of mandibular advancement devices was formulated by the “Task Force Apnea of the DGSM” in the year 2006 . In cases of SRBD with an approximate AHI of over 25/h, MADs can be used as an alternative after a previous therapeutic trial with nCPAP. Regardless of SRBD severity in patients with CPAP failure and CPAP noncompliance. A special dental, oral, and functional diagnosis is necessary to check the dental requirements for long-term use before prescribing MADs. The procedure should take into account the various interdisciplinary and intradisciplinary treatment flows, particularly the preliminary medical diagnosis and the subsequent medical follow-ups. This service should be delivered by dentists who have specialized training in the field of sleep medicine. The DGZS supports the specialized training of dentists and physicians in the field of dental sleep medicine. Patients and referring physicians can find the addresses of certified practitioners on the DGZS website at http://www.dgzs.de.